An artist’s interpretation of Sarahsaurus aurifontanalis. Brain Engh. The dinosaur—called Sarahsaurus aurifontanalis— lived about 185 million years ago during the Early Jurassic. 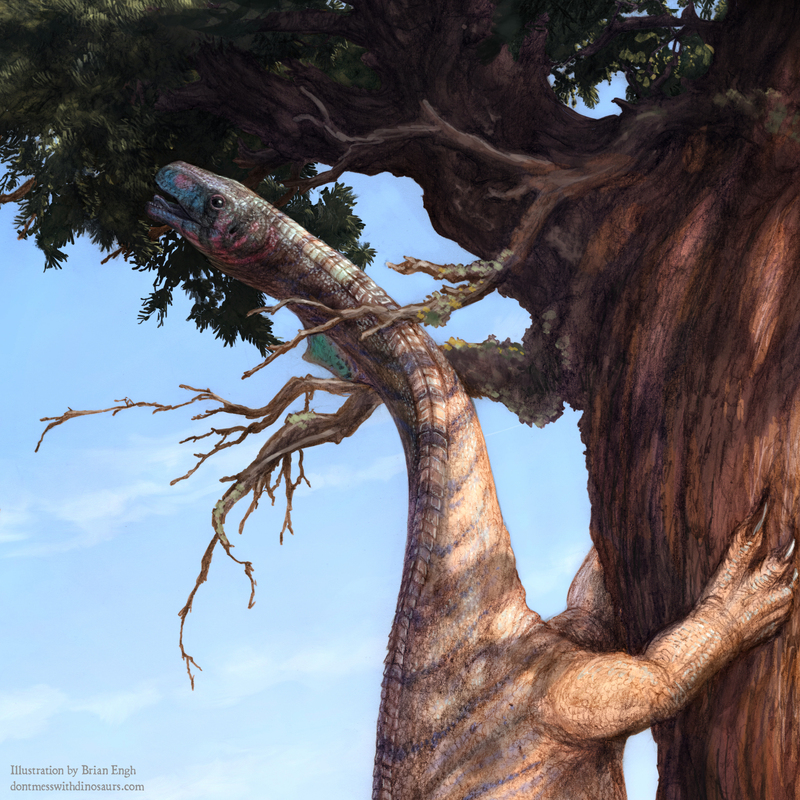 It could hold important clues about sauropods’ size because it belonged to the dinosaur grouping that preceded them. Its evolutionary placement combined with the exquisite preservation of the specimens is giving researchers a detailed look into its anatomy and how it relates to its larger cousins. Marsh describes Sarahsaurus as a “ground sloth-like” dinosaur. It stood upright, walked on its hind-legs and had powerful forelimbs with a large, curved claw capping the first finger of each hand. It had a lot in common with the earliest sauropod ancestors—like walking on two legs—but it was also starting to show features that would foreshadow how its massive relatives would evolve—such as an increase in body size and a lengthening of the neck vertebrae. A nearly complete Sarahsaurus skeleton–the skull is the only major missing part. The specimen was included in the new description led by Marsh. Jackson School Museum of Earth History Vertebrate Paleontology Collections. For example, the anatomical review helped clarify the relationship between Sarahsaurus and two other sauropod relatives that lived in North America during the Early Jurassic. The researchers found that the three don’t have a common North American ancestor—instead they evolved from dinosaur lineages that came to North America independently.